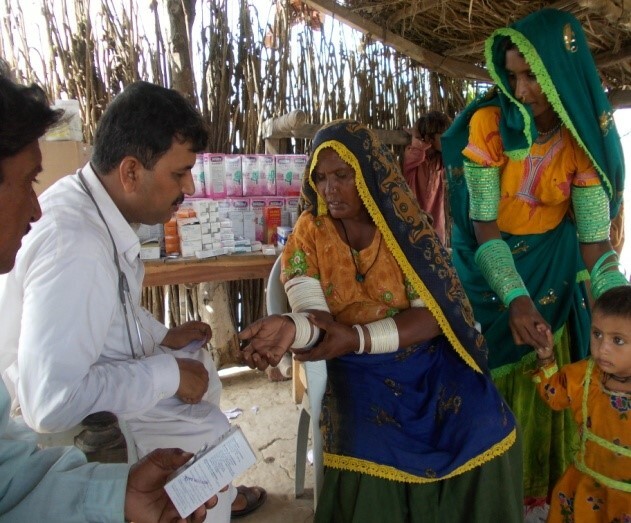 To make capable the rural communities by educating them on best practices of health and hygiene for attainment of healthy, hygienic , safe and sound health in the rural areas of Pakistan . 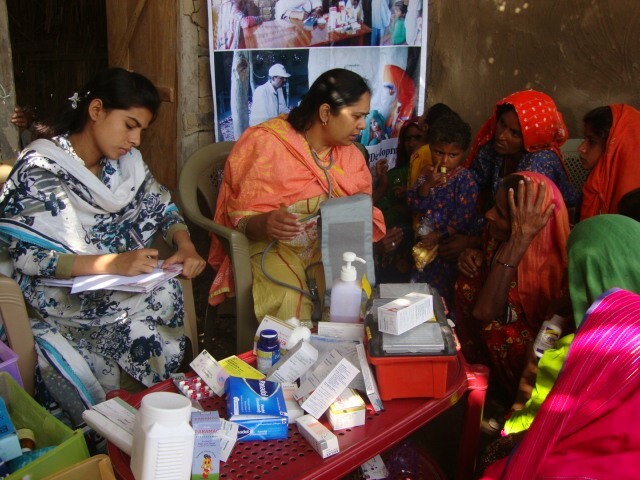 Enhancement in knowledge of people assisting to understand and develop good hygiene practices to prevent diseases and promote positive attitude towards good health practices by health and hygiene education in the poor communities of Pakistan. 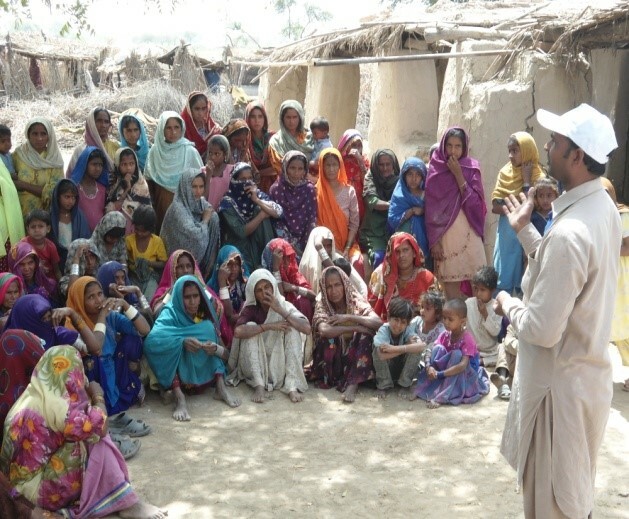 Capacity building of targeted communities. Identification and prevention of health problems due to unhygienic behavior of the community associated with water and sanitation. Sensitize targeted population to the appropriate use and maintenance of facilities. Assisting people to understand and develop good hygienic practices for safe and sound health. To lower high-risk hygiene behavior by adoption of appropriate measures. 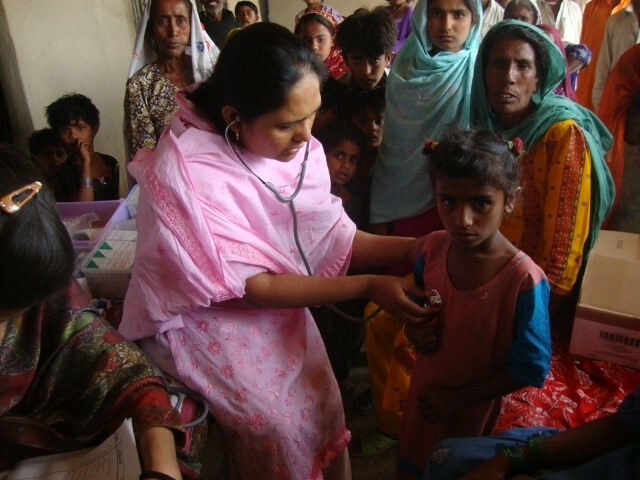 Promotion of health and hygiene education to lower high risks related to health , water borne diseases ,decrease in maternal mortality rate & Child mortality rate, malnutrition, complications during pregnancy and access to basic health facilities to them. Hygienic awareness and its replication from generation to generation. 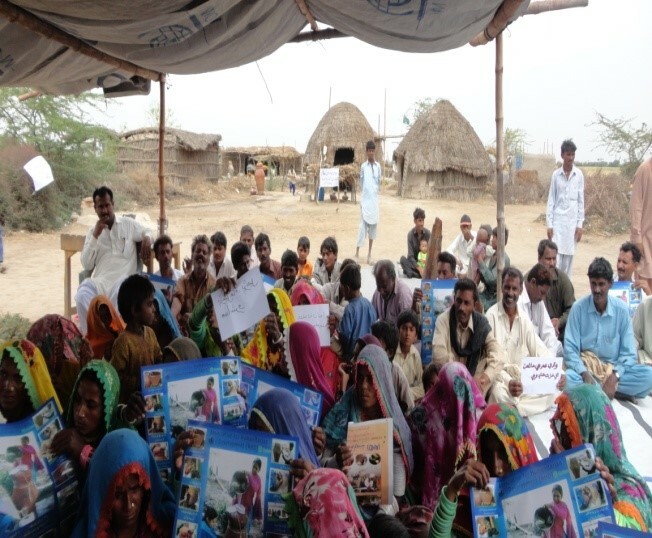 Since 2004-2005 to till a date AHD team has organized, trained and facilitated 329 Female, 424 Male and 189 Mix CBOs in Badin, Sujawal, Thatta, Hyderabad, Tando M, Khan and Mirpurkhas districts for capacity building and awareness raising through sensitization sessions, awareness raising meetings and training workshops. Future Target: AHD looking support to organize more women into village CBOs in coming years to bring help for them at their door step. Awareness raising through sensitization sessions, awareness raising meetings and training workshops. AHD organized number of trainings and sessions on health and hygiene Badin, Sujawal, Thatta, Hyderabad, Tando M, Khan and Mirpurkhas districts. Hygiene promotion sessions are also held at the household and community level to tackle crucial issues including: water hygiene, food hygiene, personal hygiene, child hygiene, female hygiene, latrine usage and cleaning, hygiene at home and environmental hygiene. The trainings include practical exercises (hand washing practice) and simple knowledge retention activities (quizzes), using an adapted version of the Participatory Hygiene and Sanitation Transformation (PHAST) methodology. Visual Aid Materials are distributed to beneficiaries during training sessions, including leaflets containing basic hygiene messages. Wherever necessary and appropriate, AHD complements these hygiene promotion sessions with distributions of extended family hygiene kits containing essential items such as soap, tooth paste, towels, and jerry cans for carrying and storing water. 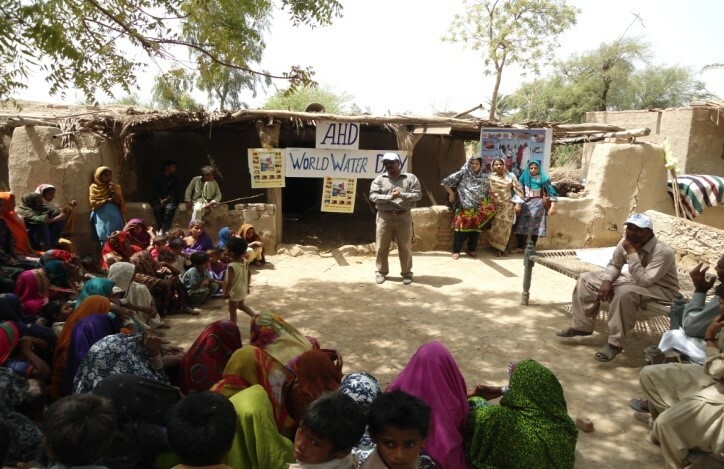 AHD endeavors to strengthen local knowledge and capacities in order to help communities to provide health and hygiene education and to design and implement participatory and sustainable interventions. 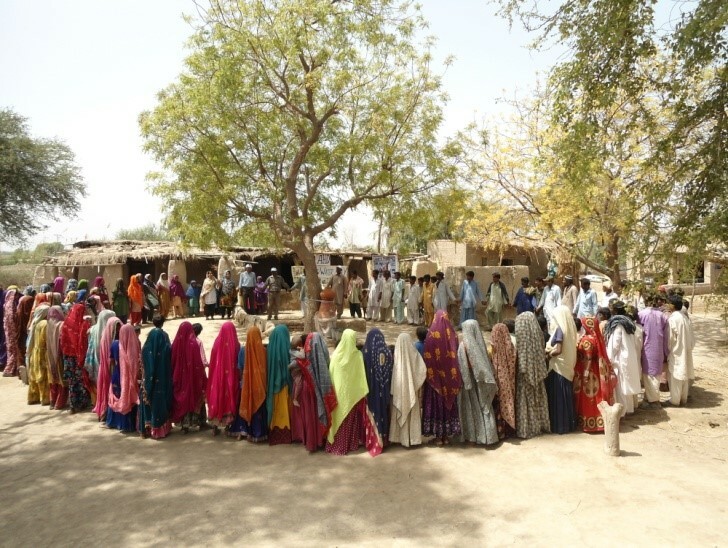 AHD initiate an intervention of mobile camps in the rural areas where people don’t have access to basic medical services in this regard to bridge the gap between formal health care system and the increasing requirements of rural communities, mobile health services have been established in some areas. 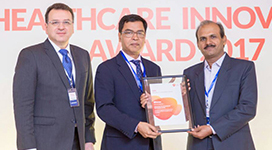 In order to deliver medical care to the sick at their doorsteps, to boost the surveillance of common diseases, and to promote better health practices. Objectives of launching Mobile Health Camps was to improve access by bringing down the number of children that missed either polio vaccine or routine immunization, and provide basic medical services where basic health services are weak or not available. 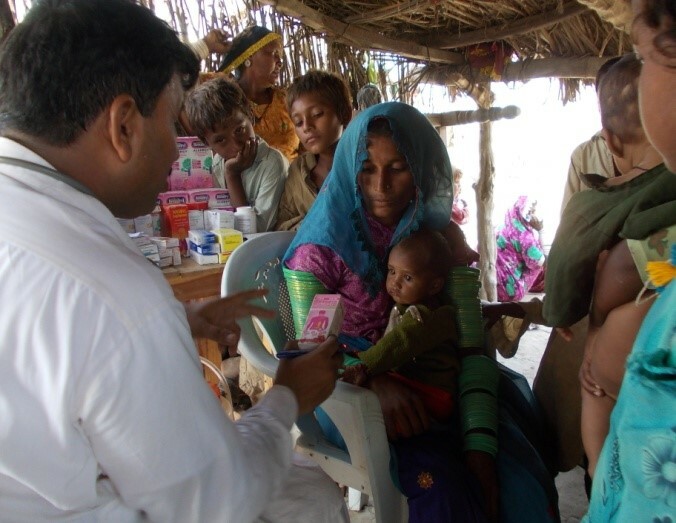 The response to the camps is overwhelming as to help make the people more health conscious. Existence of a high prevalence of water and sanitation related diseases, causing many people, children in particular, to fall ill or even die. After the family, schools are most important places of learning for children; they have a central place in the community. Schools are a stimulating learning environment for children and stimulate or initiate change. If sanitary facilities in schools are available, they can act as a model, and teachers can function as role models. 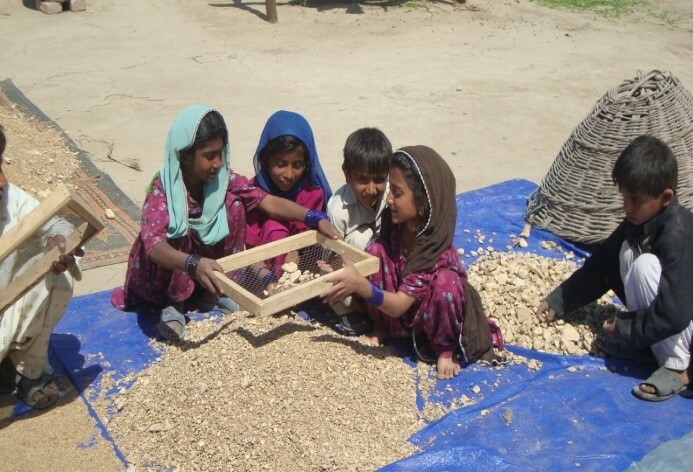 Schools can also influence communities through outreach activities, since through their students, schools are in touch with a large proportion of the households in a community. 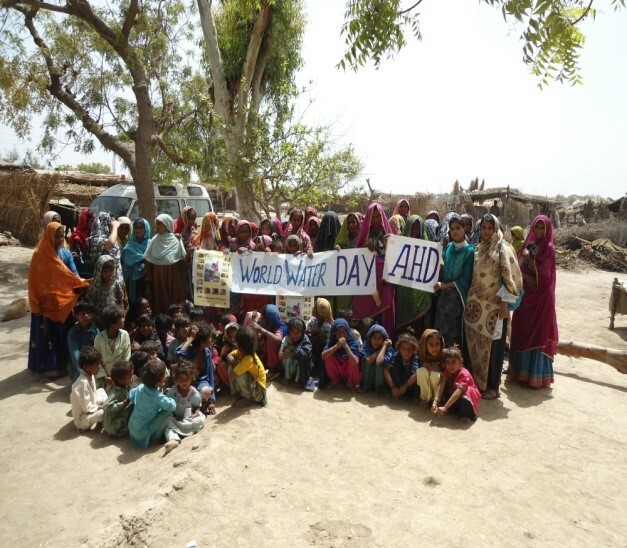 AHD Distributed hygiene kits in villages and schools Badin, Sujawal, Thatta, Hyderabad, Tando M, Khan and Mirpurkhas districts. AHD has been supporting and implementing health initiatives related to reproductive, maternal, newborn and child health. Health inequities are affecting the life and future of all vulnerable groups of society across the world, creating systems of social injustice. Focusing on women and children not only because many of them suffer undue hardship, but also because women are instrumental in improving the health of their children, families and communities. Encourage action on the underlying social, behavioral and environmental factors that determine good health. Global hand washing day is celebrated every year on 15th of October with communities for promotion of proper hand washing at their critical times to healthier life. Hand washing has been a central and more significant component of personal hygiene. On this day soaps are distributed in communities and schools .AHD team provides demonstration on steps to wash hands properly and then asked to do the same steps which are taught them by AHD team. Hand washing with soap and other forms of hand hygiene have been gaining recognition as a cost-effective, essential tool for achieving good health and nutrition. AHD initiates annually on 25th of April an awareness event on Malaria day to promote understanding among people regarding Malaria. During awareness sessions in the communities team highlights its adverse effects on health and asks to control showing continuous commitment and action to accelerate progress against this deadly disease. Millions of people are still not accessing the proper services they need to prevent and treat malaria. 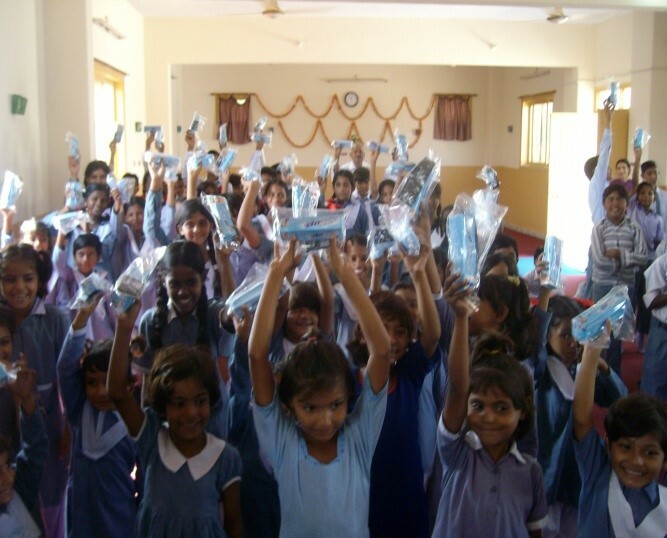 In this wake AHD not only provides awareness but also distributed insecticide-treated mosquito nets. 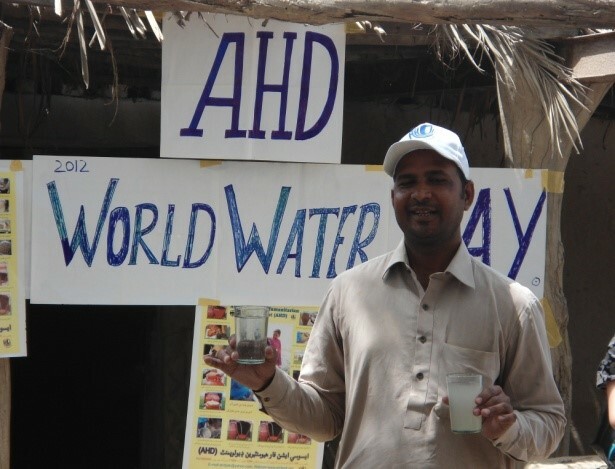 World Water Day is held annually on 22 March as a means of focusing attention on the importance of freshwater and advocating for the sustainable management of freshwater resources.AHD organizes an event in the targeted areas to advocate people regarding the importance of water in their routine life and develop a sense of responsibility to have access to water as it is one of nature's most important gift to mankind. Essential to life, a person's survival depends on drinking water. Water is one of the most essential elements to good health. Provision of safe drinking water, adequate sanitation and personal hygiene are vital for the sustainable environmental conditions and reducing the incidence of diarrhea, malaria, trachoma, hepatitis A & B and morbidity levels. Not having access to water and sanitation is a courteous expression for a form of deprivation that threatens life, destroys opportunity and undermines human dignity. Thus, investing in the provision of safe water supply and adequate sanitation is not only a development oriented strategy in itself, it can also yield other socio-economic benefits in terms of improved health status, quality of labor force and reduced burden-of-disease. World Environment Day is observed every year on 5 June to raise global awareness to take positive environmental action to protect nature on the earth. AHD organizes this event for creating awareness and action for the environment. It is not intend to just an education effort, but it is a call for action from people of different sections of the society to do something for the environment so that their collective efforts can have positive impact on the environment. AHD Team do tree plantation in the communities and are provided education/awareness that clean environment has beneficial and positive impact and outcome. 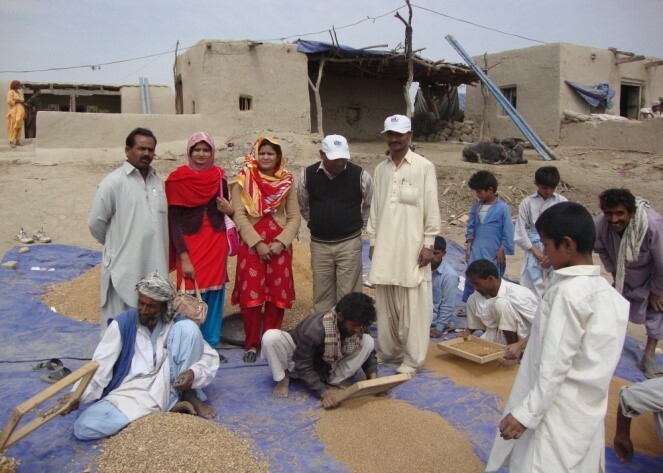 A clean up campaign is a community –based , environmental initiative that inspires and empowers communities to clean up , fix up and conserve their environment themselves .Clean campaigns were conducted in the targeted villages along with active participation of communities . The most significant factors effecting women’s health are poor hygiene, poverty, poor living conditions, lack of proper health facilities, lack of education and awareness. One of the most observable divides between women and men, especially in developing countries, is in water, sanitation and hygiene .The provision of hygiene and sanitation are often considered women’s tasks. 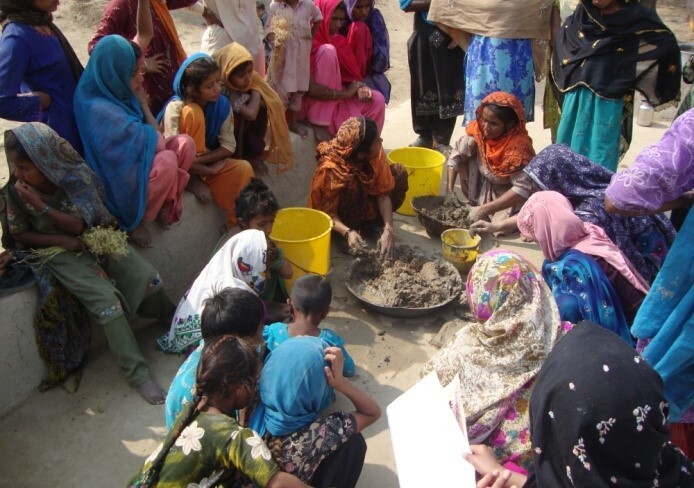 Women’s are promoters, educators, and leaders of home and community- based sanitation practices. However women’s concerns are rarely addressed, as societal barriers often restrict women’s involvement in decision making processes regarding health, hygiene and sanitation. 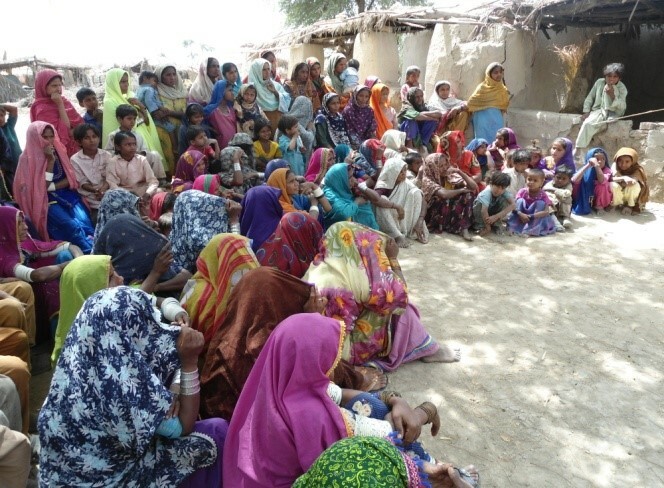 AHD conducted seminars and workshops to educate women about their health issues and make them aware that how they can address these issues which they face regarding their own health and cleanness in daily life. 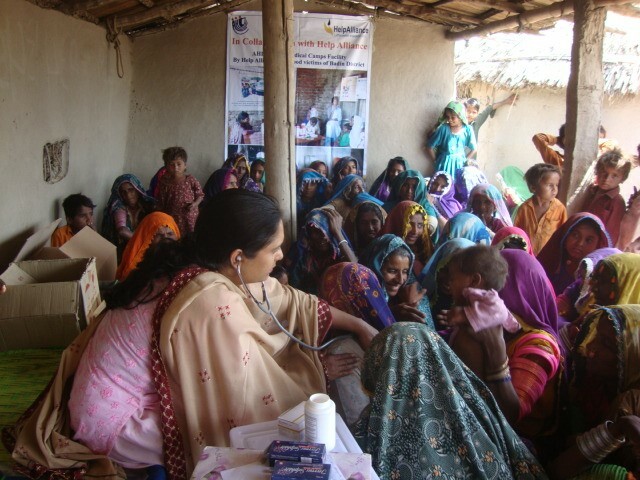 The purpose of these was to cover all those factors which become the main cause of poor health of women. Long-term improvement relies upon communities’ motivation and capacity to manage and maintain their own facilities. Providing safe water and sanitation and promoting hygiene have significantly reduced the burden of diseases. 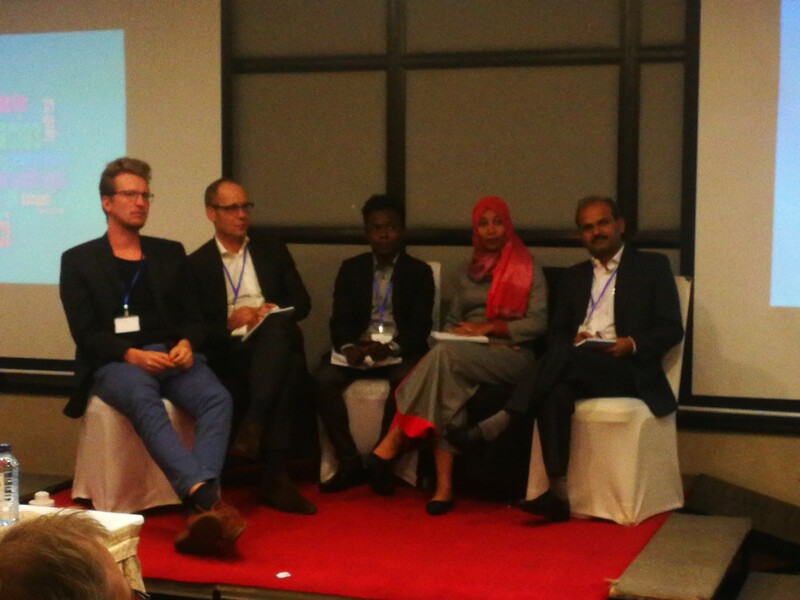 These committees should create an important sense of ownership, which is crucial for ensuring that the provision of software and hardware is just the beginning of a sustainable improvement in water, sanitation and hygiene conditions. Water, sanitation and hygiene promotion are also essential for human dignity and economic growth.